Starting off the New Year in an alpine state of mind? 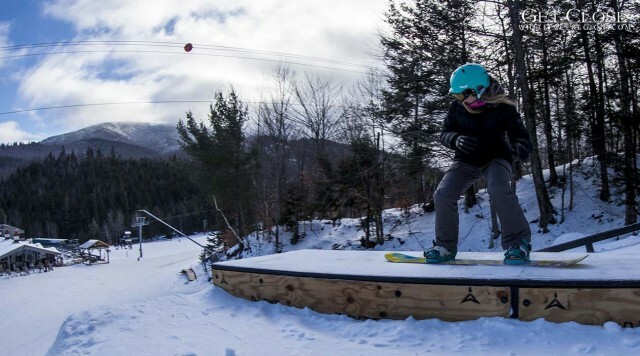 Ski or ride Whiteface and join in some of the fun events they’re offering this month. Why Not Wednesdays - almost every Wednesday (holidays not included) - enjoy discounted lift tickets when you bring a Coca Cola product to the ticket window. Rock the Face Concert Series - Every Saturday - live entertainment in the Cloudspin Lounge (you don’t even have to ski or ride to enjoy this one!) Music starts at 4pm. The Park Series features family events taking place in the terrain parks. The next Park Series event is Ladies Slopestyle for girls-only on Sunday, February 1st! Show us your style, girls, and sign up for this super cool Sunday event. It's only $10 to enter (you also must have a ski pass). Competition begins at 1pm at the Brookside Terrain Park. Sure beats sitting home watching football! Register on day of competition at the Guest Services desk at Whiteface. Hands down, the premier event of the winter takes place this month at Whiteface - FIS World Cup Freestyle Skiing. At present (as of Jan. 5th), the US has two women in top positions in both moguls and aerials. Hannah Kearney sits in the number one position world-wide in moguls skiing with 83.76 points. In aerials, Kiley McKinnon sits in the number two position with 95.52 points, well ahead of the third place woman with 90.24. In the mens division for aerials, the US has Mac Bohonnon in third place with 119.47 points. (Stats were obtained from FIS-ski.com on 1/5/15, and may change). There are high stakes on the circuit this winter, so make plans to come out and cheer on the team the week of January 29 - 31. 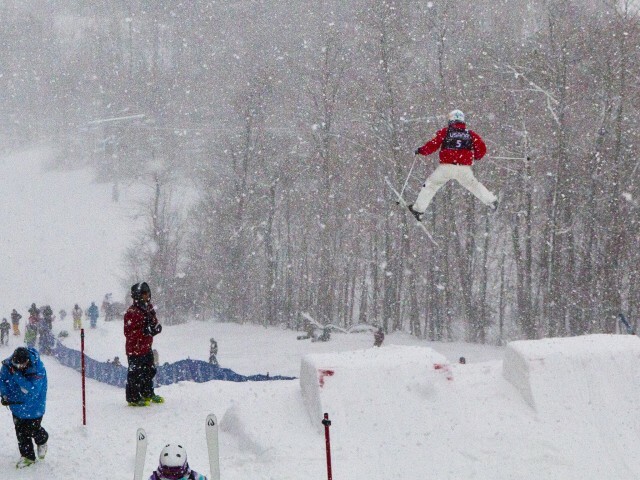 Moguls take place on Thursday, January 29th on the Wilderness Trail at Whiteface. Aerials kick-off (pardon the pun) on Friday and Saturday at the Olympic Jumping Complex in Lake Placid. UPDATE (1-20-15) Coming into Lake Placid World Cup, Hannah Kearney now sits in second place overall following the World Cup event in Deer Valley this past weekend. Although not exactly an event on the calendar, this is pretty eventful. 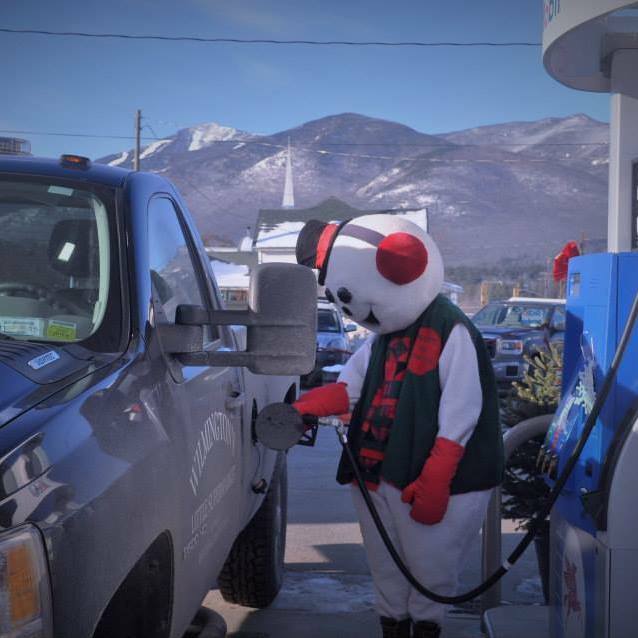 if you’re running low on gas while visiting Whiteface Mountain, know that you can not only get some great groceries and sandwiches, but you can also now get 'lunch' for your vehicle at The Little Supermarket in Wilmington! Their much anticipated gas pumps opened for business last month! Why don’t you make some plans to visit The Whiteface Region for a day or a couple of overnights? You’ll be CLOSE to the Mountain and all the activities Wilmington and the surrounding region have to offer - cross-country skiing, winter hiking, snowshoeing and more. Stop in and say hello at The Whiteface Region Chamber of Commerce office at 5753 Route 86. We’ll be sure to point you in the right direction if you need some assistance. Also check out our calendar for any and all upcoming events.